Fishguard is connected to Ireland via the port of Rosslare. On average, there are 2 crossings each day between Fishguard and Ireland, which are operated by Stena Line. Crossings from Fishguard to Rosslare usually take around 3 hours 15 minutes. The above information is a basic summary on the services between Fishguard and Ireland. We recommend using our Ferry Search to find live ferry information and the latest prices. The name Fishguard appears to be derived from old Norse fiskigardr ("fish catching enclosure") which indicates there may have been a Scandinavian trading post here. Fishguard is famous for being the site of the last invasion of Britain in 1797 when French warships sailed into Fishguard Bay. Fishguard has many beautiful historical buidings and interesting museums. Also worth a visit is the new Ocean Lab in Fishguard. A major visitor attraction in Fishguard is the annual musi festival held in July/August. The surrounding countryside of Fishguard offers stunning, unspoilt nature and is ideal for walking holidays. You will find many castles and historical sites you can visit, or just chill out on one of the lovely beaches. 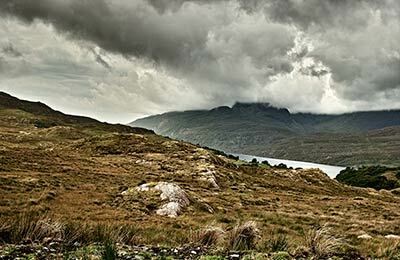 Ireland is rightly one of Europe's most popular tourist destinations. With a majestic countryside and vibrant modern cities full of culture and life, Ireland really is a dream destination. 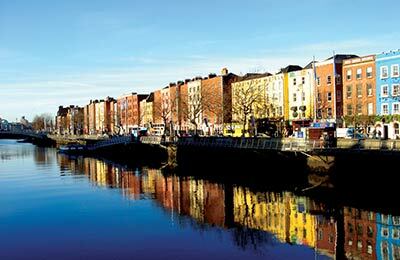 Take a ferry to Ireland to discover a country that embraces its heritage and a new, vibrant culture. The countryside is beautiful and is criss-crossed with silver streams, lazy rivers, hidden lakes and peaceful canals. It has a vibrant and dynamic capital, Dublin where some of the friendliest locals and the greatest nightlife in Europe will ensure you have an unforgettable time. Now that the political troubles of the '70s, '80s and '90s are behind it, Ireland is growing in popularity with ports like Dublin, Dun Laoghaire, Rosslare and Belfast (in Northern Ireland) being the gateway to the country that is known as the 'emerald isle' because of its lush greenery. Throughout the country, there is trout and salmon fishing for anglers. Canals, rivers and larger lakes can be explored from the banks or from hired boats. You are never more than 80 miles from the sea and a coastline offering golden, sandy beaches, dramatic cliffs, hidden harbours and bays. The Irish countryside is also famous its winding roads and pretty cottages. Getting lost in the Irish countryside can truly be a pleasurable experience!